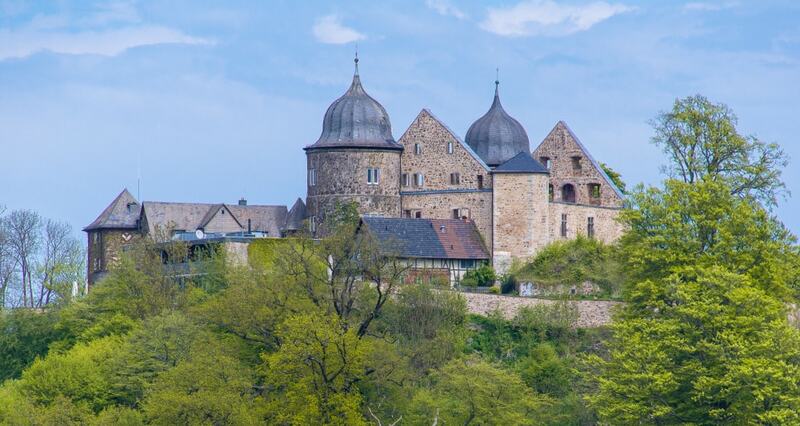 The Sababurg, also known as the Sleeping Beauty Castle (after the Brothers Grimm fairy tale), is the ruin of a hill castle in the legendary Reinhardswald, a forested upland that runs through the North Hessian county of Kassel. The site of the Sababurg has been restored by the state of Hesse and opened to the public. From 1959 the ruins were converted into a high class hotel with restaurant and cafe that was opened in 1960. In addition it houses a theatre, the SabaBurgTheater.